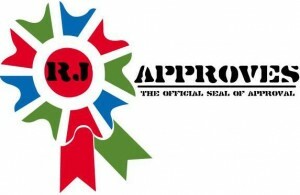 bostonvmug | RJ Approves This Message! FEELING GOOD ABOUT A RANDOM BOSTON VMUG UPDATE! I had to now talk about how great it was after having got mentioned in Techtarget over a presentation that I and one of our product manager’s presented together. It certainly felt good to see the “press” – if I am allowed to call them that – taking note of how important DR was to a business and how important having it in a planned fashion really mattered. Here is the link in case you want to read it. I also got to meet a plethora of vendors and also some VMware gurus like Alastair, Jonathan, Matt and had a lunch with Scott Davis who was the former CTO of VMware’s End user computing business (IIRC). All in all it was a great event, well organized, well taken care off and well attended!